This plugin is best known for its capability to install and customize your product store and sell/promote them in the simplest yet, effective way. Although WooCommerce has 400+ official extensions to customize your store policy in a universal way, it also provides plenty of built-in features to modify the nature of your market to a greater extent. Following the above credentials, WooCommerce Shipping is one of the many exciting features offered by the WooCommerce Community. 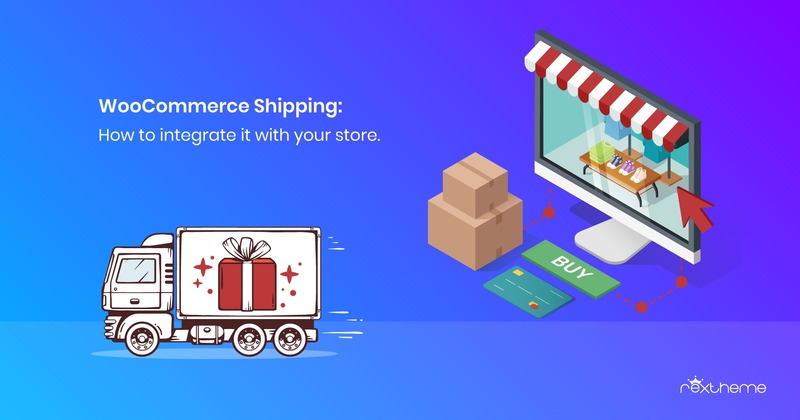 In this article, you get to know about what WooCommerce Shipping is, how you can integrate it with your products and what good it can bring to your store. WooCommerce Shipping is a feature that allows you to control shipping options, where you can set different shipping rates for different shipping locations, and set fixed shipping rates for similar types of products. In general, WooCommerce Shipping consist of three terms: Shipping Zone, Shipping Class, and Shipping Methods. Let’s get a better idea through an example. Suppose want to assign shipping options for products weighing more than 5 lbs, when shipping to California, and assign a fixed shipping cost to it. First, you need to decide the locations you want to sell your products into and divide them into zones. Each of these zones is referred to as ‘Shipping Zone’. Let’s say you set a shipping zone ‘West USA’ and included Calfornia within this zone. Next, you will need to create a ‘Shipping Class.’ Say you named it ‘Heavy’. You can then assign products that weigh above 5lbs under this shipping class. This is just to assign specific products in groups which you want to set similar shipping options for. Now, under every shipping zone, you can choose ‘Shipping Methods’. Shipping methods allow you to set types of shipping costs to your classes. WooCommerce provides 3 shipping methods in general: Flat Rate – to set a fixed cost per zone, Free Shipping – to allow no extra cost, Local Pickup – to pay shipping fee after delivery. Let’s say you set a $5 Flat Rate for any orders under the zone ‘West USA‘. You can also further edit the Flat Rate option to add specific shipping cost for different individual shipping classes. This will be added on top of this Flat Rate. Let’s say you set the cost of $5 as the shipping cost for your shipping class, ‘Heavy‘. Hence, according to the example, any orders made in the zone ‘West USA’, the minimum shipping cost will be $5. If the orders include any products within the assigned shipping class, ‘Heavy’, it will add up another $5 to the shipping cost, thus adding up to a total of $10 as the shipping cost. If you have more shipping classes with extra cost assigned, and if the order includes products from multiple shipping classes, then the extra cost for each class will add up on top of the fixed rate. However, WooCommerce also provides options to set only a single shipping class cost to be added, even though the order includes products for multiple shipping classes. For example, let’s assume you have 3 classes, ‘Heavy’, ‘Thin’ and ‘Light’ and you set the added cost to be $5, $7 and $9 respectively. If someone orders products which include a product from each of the classes, then you can set the option so that only the highest shipping class fee will be added and not the other two. In this case, the shipping fee will only add $9 on top of the fixed rate. P.S: Before getting into WooCommerce Shipping, Make sure you have properly filled all the information needed in the ‘General’ and ‘Product’ sections. Such as , your address, regional zip code, shipping/selling location, enable tax options etc for General information. As for your Product information, don’t forget to add your relevant product and stock data. And check in the downloadable products if the selling platform of your product is completely virtual. Setting up shipping options in WooCommerce can get pretty confusing for beginners because there are plenty of options in the WooCommerce Dashboard. Hence, this article is focused on making things as simple as possible for you when setting up the WooCommerce Shipping featues. We will focus on providing proper directions with every step to follow and use several pictures to let you visualize and compare the steps with your dashboard. You will an organized guide on how to create and use Shipping Zones, Shipping Classes, and Shipping Methods. Your shipping zone specifies the set of regions you are willing to ship your products to. You can set multiple shipping regions based on the name, country/provinces, postal codes, etc. You can also set different shipping rates for different regions based on the shipping methods available within this option. P.S: When you set regions, users only from those set regions will see your shipping options. Now let’s learn how to create a new shipping zone. On your dashboard go to WooCommerce > Settings and on the page, click on Shipping (Located at the top). Under Shipping, you will get 3 options. Click on Shipping Zones from there. As you can see, I already have a zone created. To create another one, click on Add shipping zone. Fill up the given box with the required information. And Select Add Shipping Method to Flat Rate (Which we will be discussing elaborately in next section). When you select a Zone name, all the regions under that zone will be previewed in the list. And You will be able to select multiple regions among them. In my case, The box looks like this. Click on Save Changes to save your newly created shipping zone. As we are done with creating a Shipping Zone, Now let’s focus on creating a Shipping Class. WooCommerce Shipping Class is a combination of multiple products under the same name that you want to use for different ‘Shipment Method’ for different zones. In this section, we will learn how to create shipping classes and assign products to them. Go to WooCommerce > Settings > Shipping > Shipping classes. After clicking on Shipping Classes, you will see a box as follows. Here, there are no shipping classes created yet. Let’s create one. To create a shipping class, click on Add Shipping Class. Slug: A slug is created based on your shipping classes in your database. In most cases, you won’t be needing them unless you are working with several shipping classes. If you don’t provide a slug name, it will be created automatically. Description: It is a good practice to provide a brief description of your shipping classes; the specific nature of products that put them under the same class and etc. This is completely optional. Once you provide the information, click on Save Shipping Classes. You can create as many shipping classes as you want. Next, it is time to assign products to your shipping classes. You can assign products, one by one or multiple products at once, to your shipping class. Go to Products > All Products from your dashboard. Select the Product you want to assign to a particular shipping class. Click on Edit option just below the product name. On the Edit page, scroll down till you reach the section Product data. There, click on the Shipping tab on the left side. Then on the right side, choose the shipping class you wish to assign it to. I’ll add this product to the new shipping class that I created, ‘Heavy’. Then scroll up and on the right side, click on update. Hence you have successfully assigned a product to a shipping class. You can also add products in bulk to your specified shipping class. After all, Shipping Classes are created to categorize products of same types. Go to Products > All Products from your dashboard. Select all the products (tick the box beside them) you want to assign to any shipping class. Then alter the Bulk Actions and change it to Edit from the upper left menu above the product list. After clicking on Apply, You will go to a page like this below form where you can edit for this group of selected products. 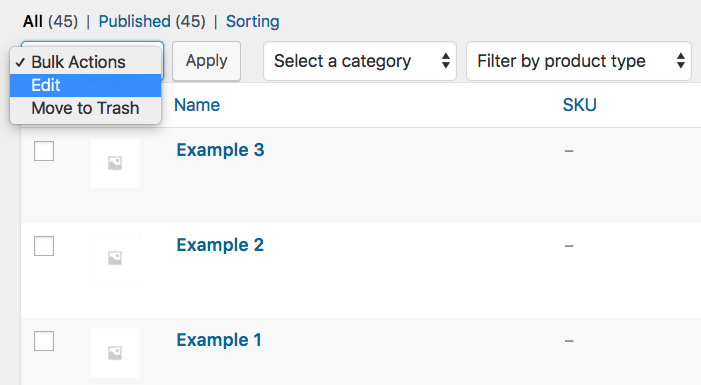 From the Product data section, Set the Shipping option to your desired shipping class. In my case, it is Heavy. Thus, you have successfully enlisted a group of products under a single shipping class. So far we have learned how to create a Shipping Zone, and how to create a Shipping Class and how to assign products to a Shipping Class. Now let’s learn about the Shipping Method. As we said earlier, WooCommerce gives you three methods to set up your shipping rates by default (in WooCommerce shipping). Among the three of them, most store owners find Flate Rate Shipping Method ideal for their shipping. Because it’s easy and allows you to set a fixed rate of shipping cost for different shipping classes. Here, we will have a brief description about Flat Rate only (How to work with Flat Rate Shipping Method). 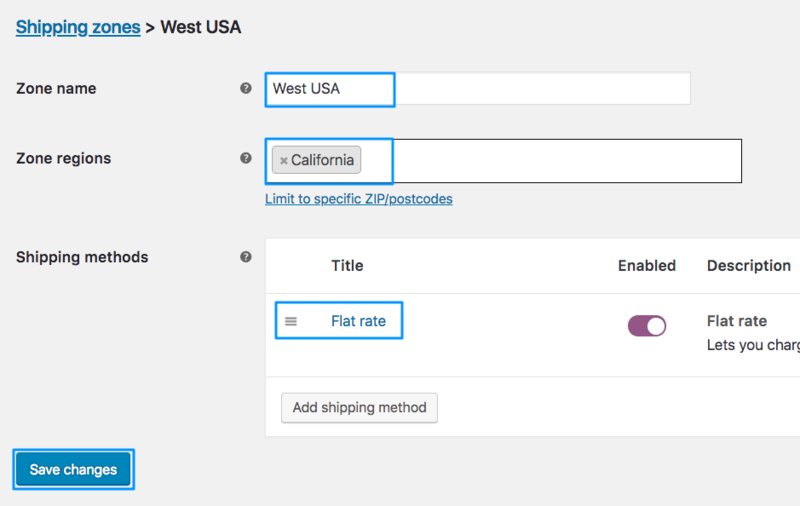 To access Flat Rate Settings, Go to WooCommerce > Settings > Shipping > Shipping Zones. Click Edit below your shipping zone as shown in the picture. Click Edit below Flat Rate from your list of Shipping Zones you want to make a purchase with. In Flat rate Settings, you have to enter your estimated cost, shipping class cost, and some other relevant information. Method Title: This is the name of your shipping method. The name you set here is what users will see while checking out. You can set the title from Flat Rate to anything you want but the method of shipment will remain the same. Tax status: Choose whether shipping products are taxable or not. Cost: It is the base cost you set that adds up as the initial flat rate cost. It is charged for all the products even if it doesn’t fall in any specific class. 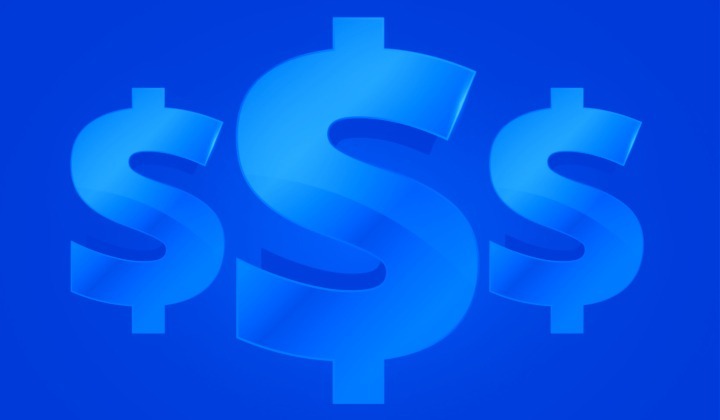 Shipping Class Cost: Set the amount of currency you want to imply on your shipping classes. For example, I have set my shipping class cost to 5 for the class ‘Heavy’. Anyone who is buying an item that falls under the class ‘Heavy’, will be charged with an additional $5, along with the flat rate cost. No Shipping Class Cost: Set up your shipping rates for the products that fall under no specific classes. I set it up as 2. Anyone who is buying an item that falls into no shipping classes, He/She will get an extra charge of $2 along with the flat rate cost. ▸ Per Class: Any order that will include products in multiple classes, the shipping class cost for each of those classes will be added on top of the flat rates. Also if the order includes products with no particular class, then the cost for no shipping class will be present as well. For an instance, let’s assume that I have another shipping class named ‘Light’ and I assigned a shipping class cost of $3 to it. Now, let’s say a buyer ordered 4 products, out of which two products fall under the class ‘Heavy’, one product falls under the class ‘Light’ and another falls under no shipping class. Then the total shipping cost will include a $2 charge for no shipping class cost, $5 charge for shipping class cost of ‘Heavy’ and $3 charge for shipping class cost of ‘Light’, on top of the flat rate cost of $5. So the total shipping cost will add up to $15. ▸ Per Order: In this case, any orders that will include products from multiple classes, the shipping class cost that is the highest among these classes will be added on top of the flat rate cost. Let’s suppose, I have another shipping class named as ‘Light’ and I assigned a shipping class cost of $3 to it. Now, let’s say a buyer ordered 4 products, out of which two products fall under the class ‘Heavy’, one product falls under the class ‘Light’ and another falls under no shipping class. Here, among the three, the highest shipping class cost is $5. Hence, only $5 will be added on top of the flat rate cost, the other two shipping class cost will be ignored. Therefore, the total shipping cost will add up to $10. Once you have set up Shipping Methods properly, the process is complete. You have successfully set up your WooCommerce Shipping features. WooCommerce Shipping is a mandatory stage if you are willing an organized product shipping procedure. We hope, in this article, we were able to give you a clear idea on how it works and how to integrate one with your online store. Hope this article will be helpful to you. In case you have a WooCommerce store, you can also check out How to Auto-Sync WooCommerce Products to Google Merchant Shop Using WPFM.